Driving a DPR Motorsport uprated Caterham Superlight R300 Tony Bennett achieved first in class B at the Magnificent Seven race at Spa. 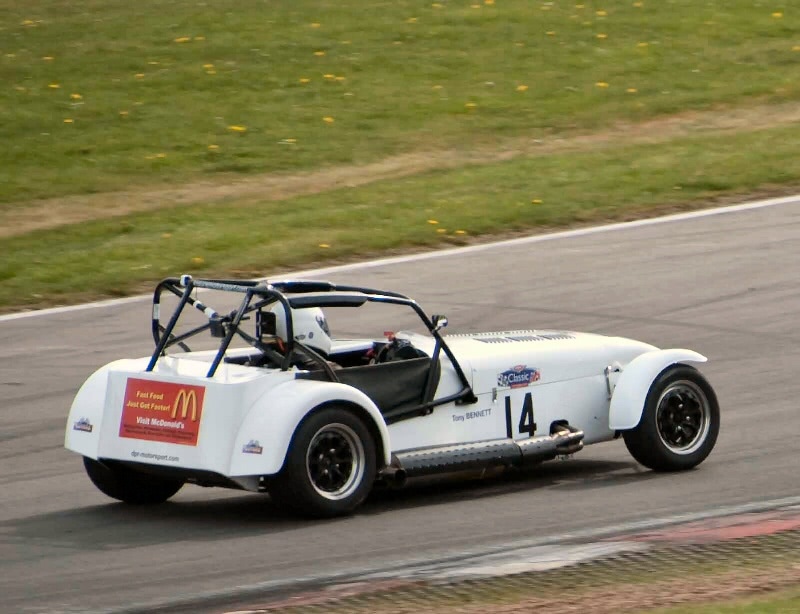 This car has been upgraded by DPR Motorsport to 200 bhp (175bhp standard) using the Caterham Stage One roller barrel upgrade accompanied by a new Caterham developed ecu map. Whilst initial qualifying was dry the legendary Spa weather micro climate produced a downpour for the start of the race that remained wet for most of the 60 minutes duration. An inspired change to new Avon CR500 tyres resulted in a class B win and seventh overall from a total of 68 entries.